Knit fabrics are so desirable because of their ability to stretch and then return to the original shape. The amount of stretch per inch that happens when a knit is stretched to its maximum capacity. A knits stretch typically ranges anywhere from 10%-100% (or more). The knits ability to return to its original shape after being stretched to the max. An example of good recovery would be a knit fabric that returned to the original length and width after being stretched. If a knit has poor recovery, the garment will not be your favorite because it will eventually stretch, sag, loose its shape and become ill-fitting. Knits vary in their ability to stretch (both in length and width). When developing knitwear patterns, the specifications of the pattern are determined by the recommended fabric. For fabrics with a lot of stretch, the knitwear pattern must be reduced in length and width. If this is unaccounted for the final garment will eventual distort and loose its shape. For fabrics with less stretch, the pattern must be slightly increased to allow for the stretch factor. You can easily determine the percentage of stretch of a fabric, and it’s a really good idea that you know exactly how to do this. It’s good practice to bring a ruler with you to the fabric store (seriously) so that you can get the appropriate fabric to compliment your sewing pattern. It’s a good idea to know the crosswise and lengthwise stretch factor of a fabric. It’s a really simple procedure to determine both. The process is the same to determine the stretch of the width and length of a knit fabric. First, fold the fabric in half and mark off a 5″ section. You can use pins or a fabric marker. Next, hold the knit against a ruler, lining up your markings with the measurements on the ruler. Hold the fabric firmly and stretch. Record the measurement of how far the knit stretched. Every half-inch is equal to 10% stretch. So, if the fabric stretched 2″, it would have 40% stretch. Tip: Never use the selvage, or a cut edge of a knit fabric to determine the stretch. You will not get accurate results. Instead, always fold the fabric first! Testing the fold will give you a more accurate percentage of stretch. As you know, not all knits are created equal. 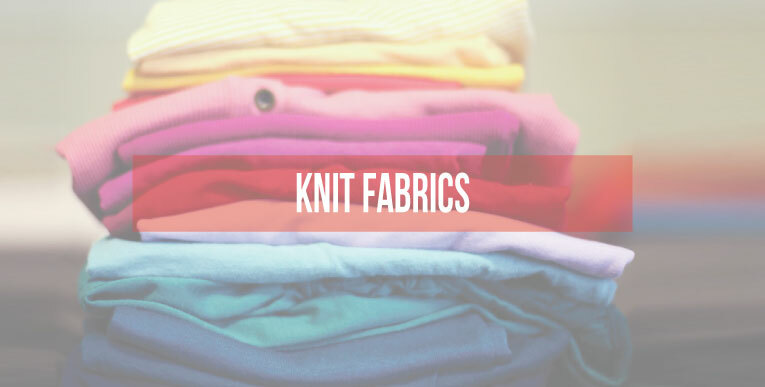 Knit fabrics are available in a wide range of weights, textures, stretch factors, and fiber content. All of these characteristics determine what the fit of the final garment will be like, as well as what type of knit pattern is used. Super-stretch knits have a stretch percentage of 100% or greater in both length and width. 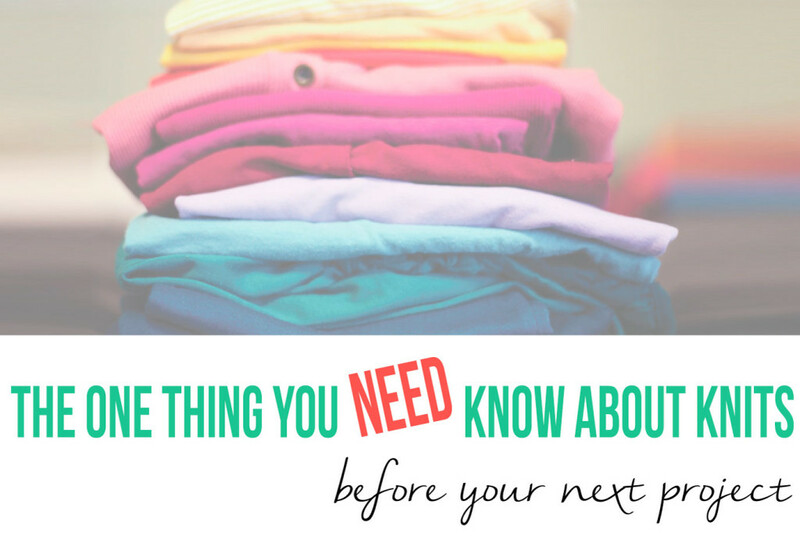 So, your 5″ piece of fabric would stretch to 10″ or more! Super-stretch knit pattern require negative ease, think leotards, leggings, and even some types of athletic apparel. Stable knits have a stretch factor of about 15%-20% in the width, and very little in the length. Because stable knits have very little stretch, they can often be treated like a woven fabric. The pattern for a stable knit would have extra ease added to ensure ease of movement when the garment is worn. A good example of a stable knit is a ponte. Moderate stretch knits have about a 25%-30% stretch factor in the width. Essentially moderate stretch fabrics are a good combination of super-stretch and stable knits, making it ideal of loose fitting sportswear. Stretchy knits have a stretch factor of approximately 50% stretch in both length and width. A light weight, stretchy knit will have excellent drape and works well for close-fitting garments. A stretchy knit is ideal for athletic apparel, dresses, and tops. Rib knits have a stretch factor of 100%, but are kind of in a category all their own. While rib knits are often used for tops, they are also ideal (depending on the type of knitting pattern and fiber used) for use in waistbands, cuffs, and bindings. It’s really important to always use the recommended fabric provided on the back of the pattern because the pattern was created specifically for knits with a certain percentage of stretch. As we’ve learned, some knits act more like woven’s and if you tried to use a stable knit pattern with a stretchy knit…well, it wouldn’t be turn out to be what you were expecting. It would be ill-fitting at the least! 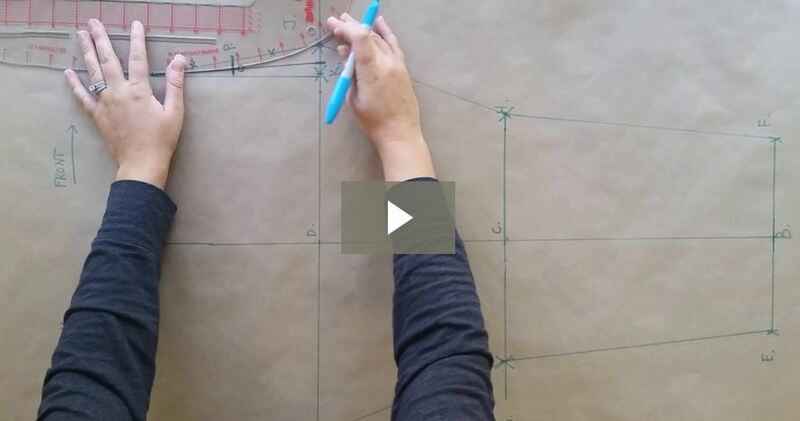 Knowing the percentage of stretch of a knit fabric is a valuable skill to add to your arsenal, especially if you want to venture into modify store-bought patterns and/or drafting your own patterns. When creating a new draft for a knit pattern, you must know what type of fabric the final garment is meant to be constructed with to ensure a good fit! Thank you for this post! I have a question about baby rib knit 1×1. What type of tops can you make with it? Do you have any examples? Do I need to treat this like a woven? It’s 100% cotton, 35% stretch and poor recovery. I would think you could make looser fitting tank tops, t-shirts, and dresses with this fabric. I would definitely treat it more like a woven if it has a poor recovery. Hi Joy, the thing is…it is all up to the designer. It really depends on the style and the desired fit. Can you tell me about they type of knit garment you designing so I can have a better understanding of the appropriate fit? Ohhh! So that’s how you do it! You just made this so clear. Thank you! One of your pins popped up in my Pinterest feed, and I wanted to see what you were all about (‘cuz frankly, you look like you’re a lot of fun). Aaaand, I’m swooning. 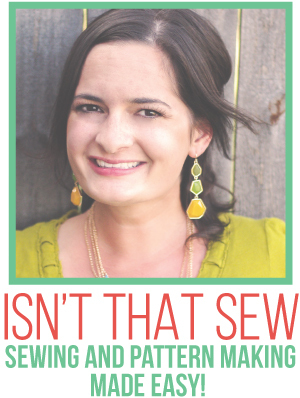 I’ve always wanted to sew my own clothes, and make my own patterns, but EVERYTHING I make looks so homemade. Or like I made it for my dog. 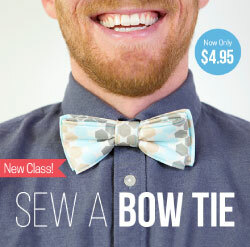 No kidding, just the other day I bought a pattern (because I still dream of sewing well) that was designed for knits. I never would have known to fold the fabric before stretching it. 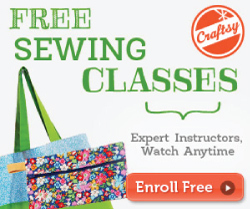 Thanks to you, I see hope for my sewing future!